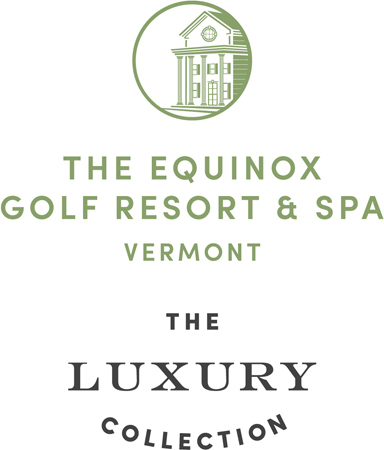 Nestled among the idyllic Green Mountains of Vermont, The Equinox, Starwood Luxury Collection, features enchanting Manchester, Vermont wedding venues for your once in a lifetime occasion. 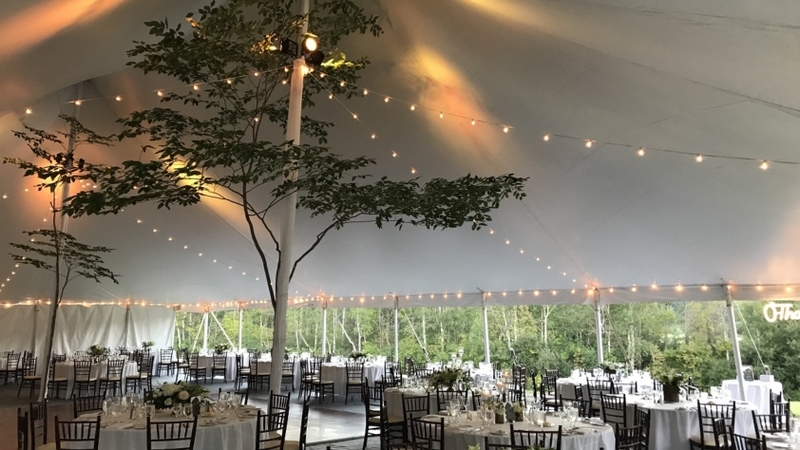 Whether planning a grand celebration or an intimate affair, our dedicated Wedding Sales manager and team will ensure you have a memorable experience that is expertly executed to your exacting specifications. 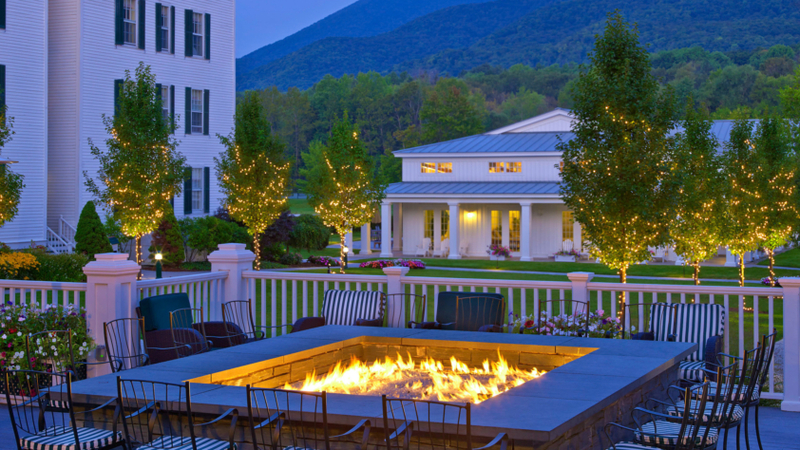 Every desire will be met with unparalleled grace and professionalism from this historic centerpiece of beautiful Manchester Village. Located at the foot of Mt. 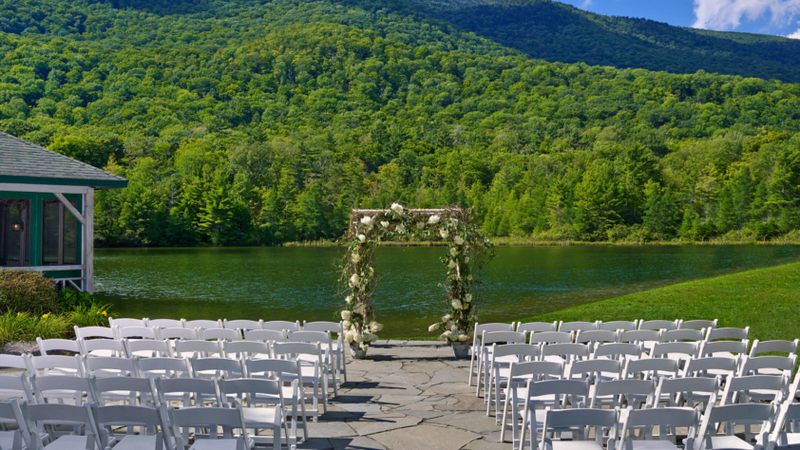 Equinox, this picturesque outdoor venue offers breathtaking views of the Equinox Pond and Green Mountains. 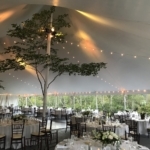 Accommodates up to 120 guests. With crystal chandeliers and floor-to-ceiling windows, our Colonnade Ballroom is the perfect backdrop for your special day. 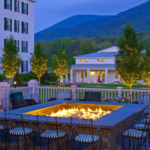 Accommodates up to 180 guests. 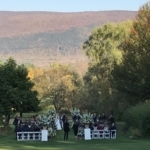 Privately situated in one of the meadows on the edge of Manchester Village with reflecting pond overlooking the Green Mountains. 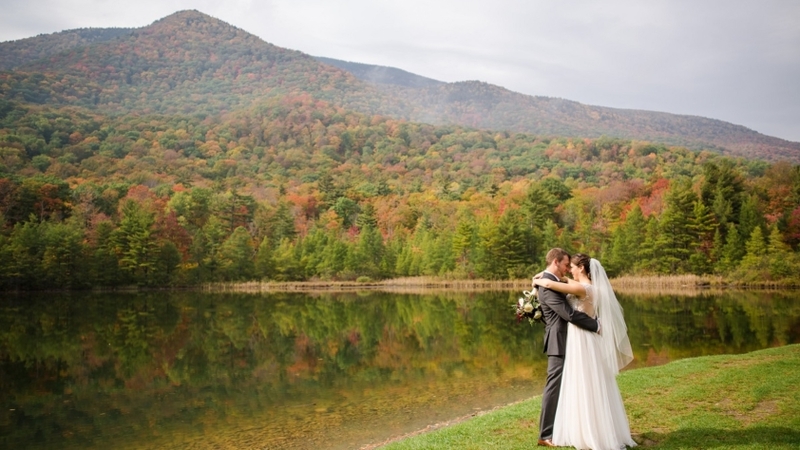 Ideal for your own private destination wedding. The House has four suites and hot tub on the deck overlooking the reflecting lily pond. 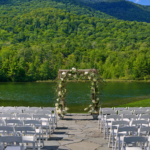 Perfect for both parties to prepare for the ceremony in their own private parlors. 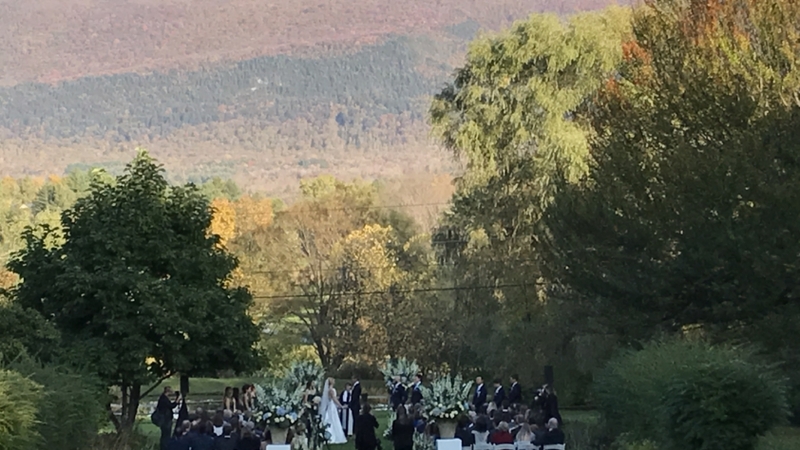 The ceremony on the lush front lawn and the custom tent with solid flooring just around the corner of Meadow House.